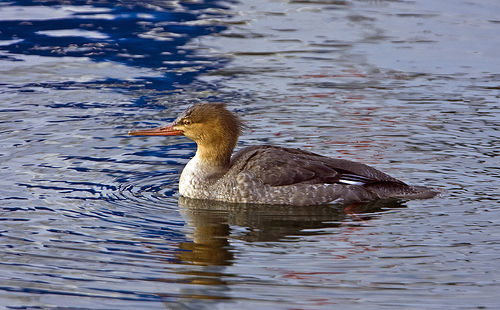 The Red-breasted Merganser looks very much like its brother, the Common Merganser. 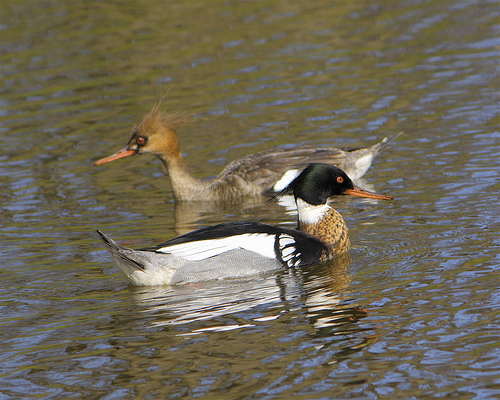 The Red-breasted Merganser is a bit more colourful. It is a typical winter visitor, in summer you will hardly see it in western Europe.